Only 1hr from Calais, 1hrs30 to Lille, 1hrs40 to Brussels, 3hrs to Paris. Entirely renovated . . .
1 hour from Calais, 25 minutes to beaches and only 13 minutes to the market town of Hesdin, . . . Ideal developer. Long house to be renovated. Large outbuildings. Huge potential. In a quiet cul-de-sac, this ‘long-house’ offers tranquillity whilst being close to amenities . . . Ideal 2 bedroom starter home or holiday home in need of some modernisation and situated between Auxi le Chateau and Hesdin in the Seven Valleys. 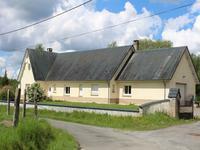 The village of Haravesnes lies in the triangle formed by the market towns of Auxi le Chateau, . . .
Less than an hour from Calais (124km) the historic town of Auxi le Chateau sits astride the . . .
Hesdin main square. Beautiful family home entirely refurbished to a high standard. 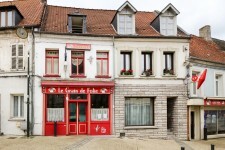 This traditional French town house is ideally situated on Hesdin main square and offers easy . . .
Only one hour away from Calais, this cosy and in perfect nick ‘longère’ or ‘long house’ . . . The village of Dainville is a suburb of the university city of Arras. Easily accessed from . . . Enormous 3 bed appartement with a well established bar, pub and cafe in the centre of a pretty village. 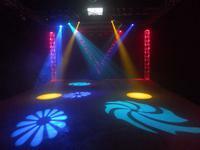 This is a rare chance to buy an already well-established business in a very popular area of . . .
House of the Art Deco era. Beautiful and in top condition. In the centre of a pretty and . . .
A large, individual 3 bedroom family home in a quiet village, situated on a generous plot of 1.6 acres together with a paddock and a pond. Building plot in pretty village of the Pas-de-Calais. Just over 1hr drive from Calais. Beautiful building plot one hour drive from Calais. Additional adjacent plots of various . . . 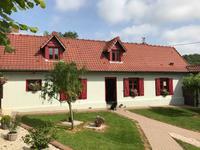 Superb Louis XV style country house in peaceful village. Outbuildings easily converted into further accommodation. Ideal gîte business. A really comfortable country house that has been very tastefully restored to provide 4 . . . 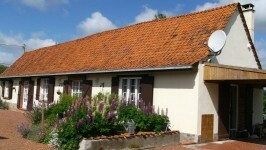 The pretty village of Fresnoy lies in the Canche Valley close to the popular market town of . . .
Beautiful family home built by the current owners in 1978 and lovingly looked after. It . 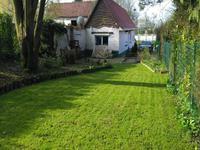 . .
A charming village in the countryside but only 8 minutes away from Montreuil-sur-Mer, 20 . . . The pretty village of Willeman with its magnificent chateau lies in the Canche Valley close . . .
Etaples is a pretty little town of the Côte d’Opale. It is ideally situated on the outskirts . . . Beautifully renovated character four bed farmhouse. Barn and 1 acre paddock. This generous “long house” will easily welcome your family thanks to its four double . . .